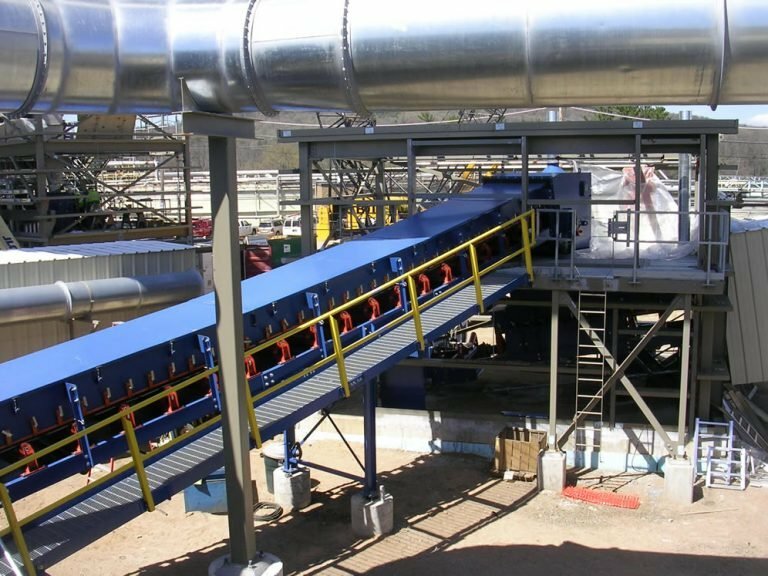 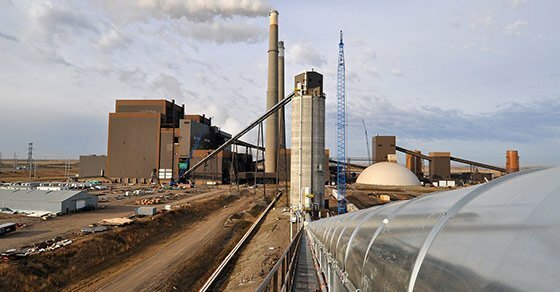 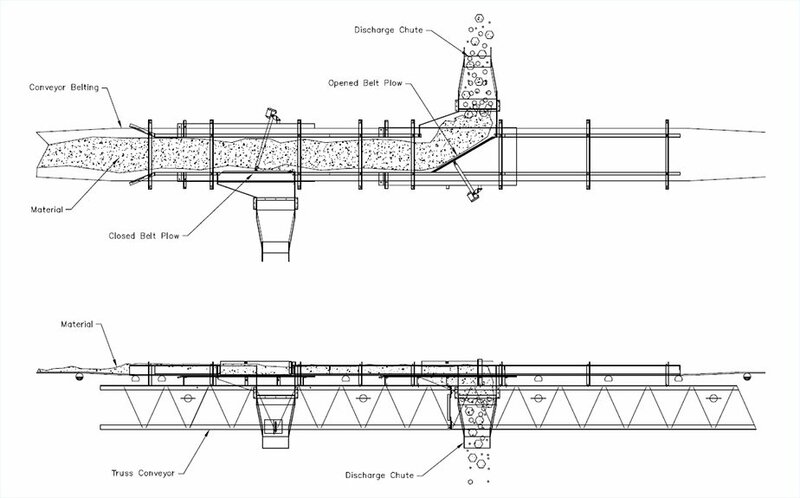 For applications where more than one conveyor discharge position is required, FEECO offers several approaches and options to meet the demands of the project, among them, Belt Trippers, Belt Plows/belt diverters, and Reversing Shuttle Conveyors. 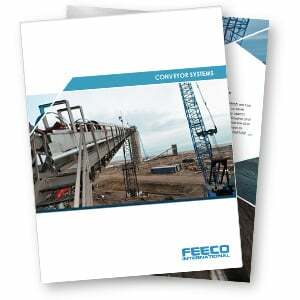 Whether you need a reversing belt with discharges at both ends, filling multiple bins along the length of the conveyor, or you need to create a long continuous pile such as in filling a bulk storage building, FEECO has your material handling needs covered. 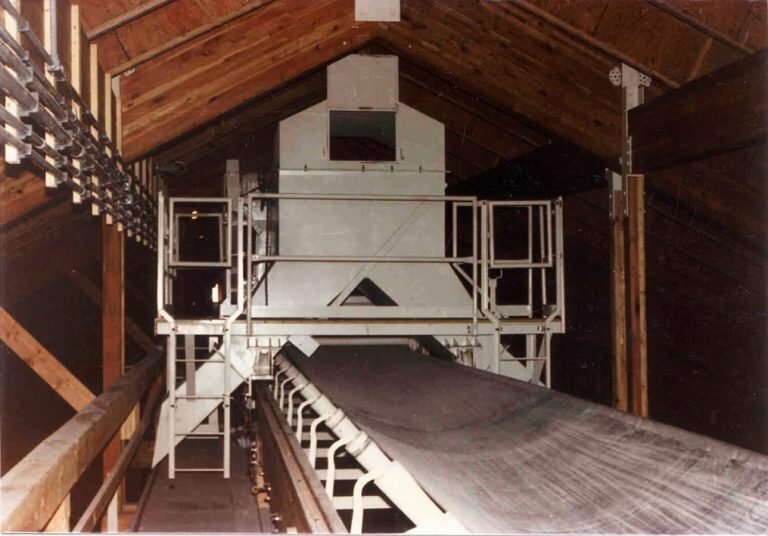 A belt tripper is used to “trip” the material off the conveyor at specified locations between the terminal pulleys. 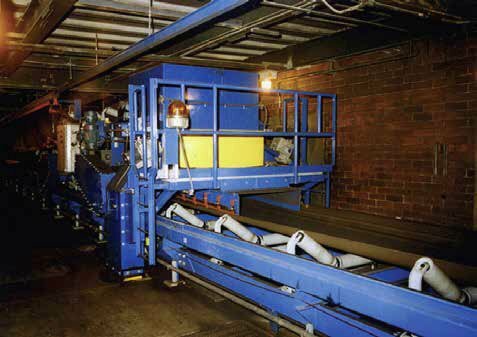 A belt tripper can either be in a fixed position, or travel continuously at a constant speed for layered stacking. 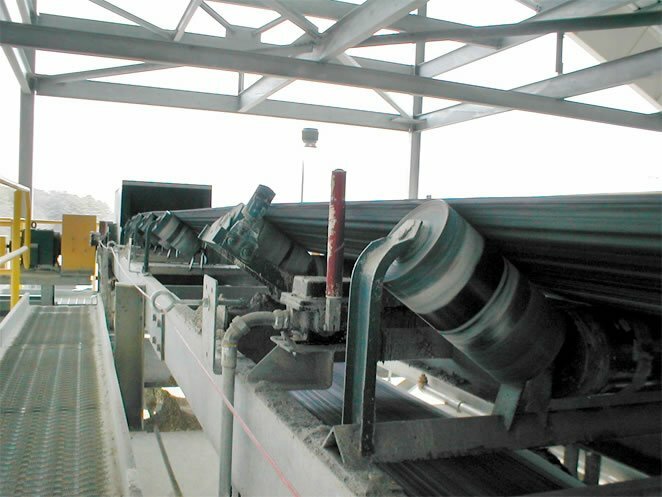 A belt tripper consists of a structure with two pulley assemblies. As the belt passes over the upper pulley, the material is discharged from the belt into a collection chute. 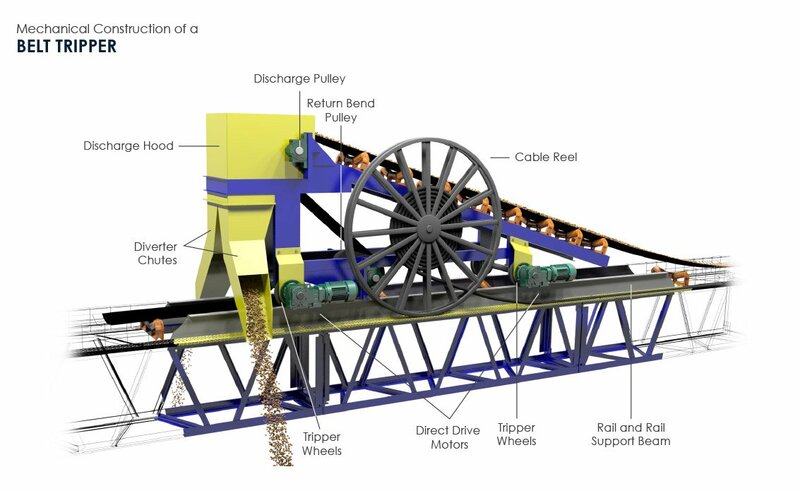 The material is then diverted to one side or both sides of the belt for discharge, or back onto the belt if the desired discharge position is at the end of the conveyor. 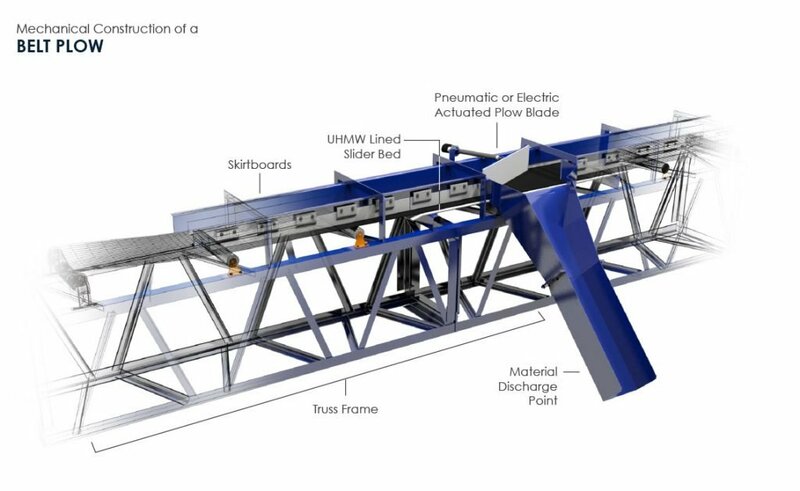 Several powered drive options and chute configurations are available. 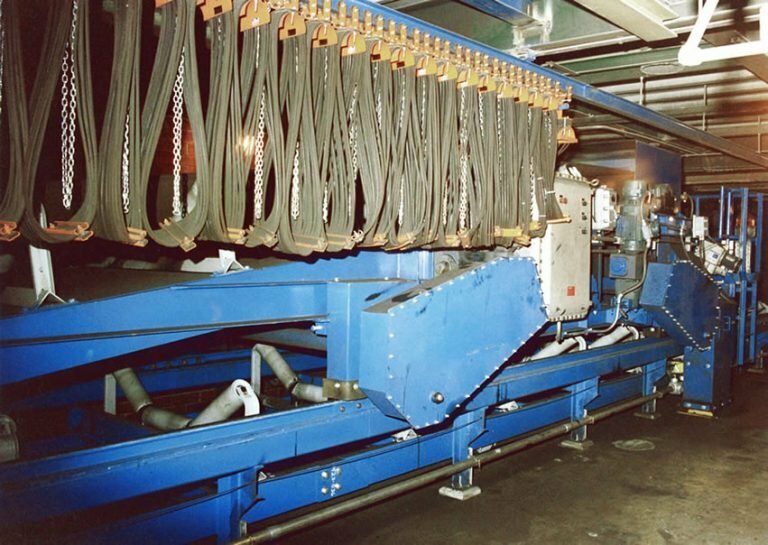 Engineered Pulley Loop: The conveyor belting travels through a set of pulleys which create the material “trip,” or discharge point and then redirects the belt back on to the idlers. 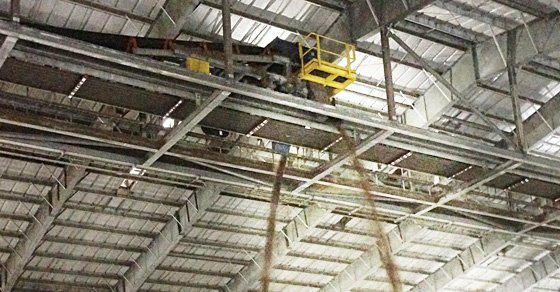 This “pulley loop” is designed so the conveyor belting will experience a very limited amount of stress, eliminating the opportunity for premature wear and stretching. 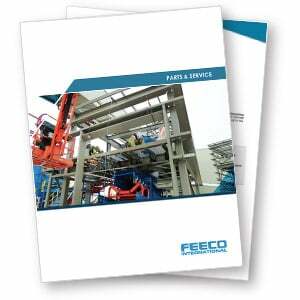 Direct Drive: FEECO belt trippers are equipped with direct mounted motor and gear reducers that are separate from the main conveyor drive components. 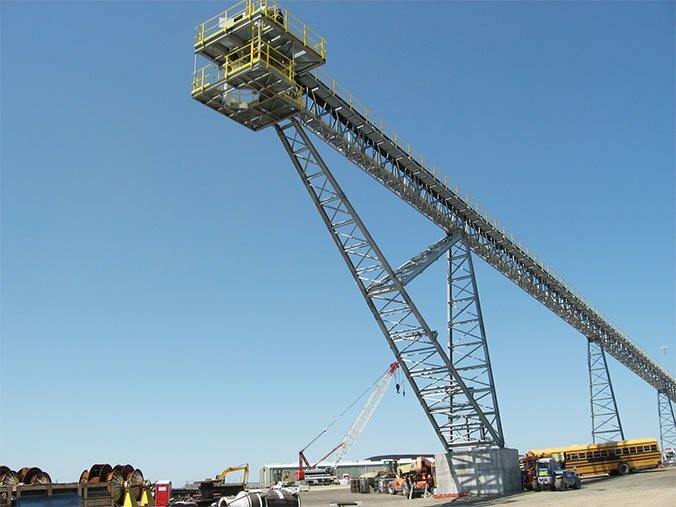 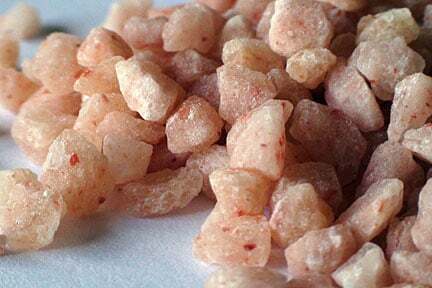 This allows for the tripper travel to be controlled from either a remote or local location. 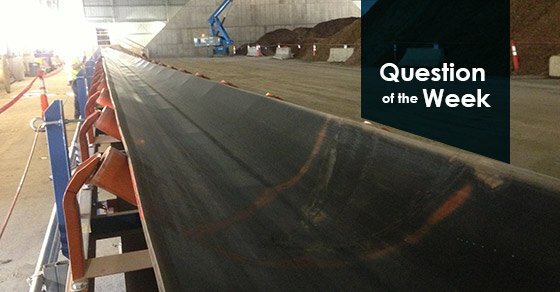 FEECO belt plows are designed to increase a belt conveyor’s material discharge control capabilities. 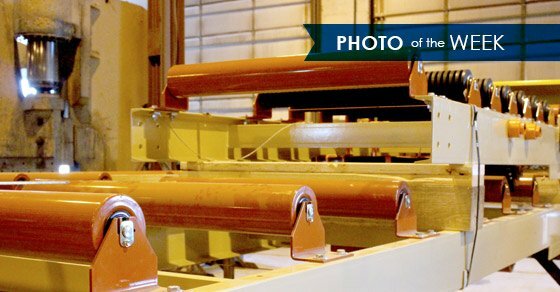 Much like belt trippers, belt plows can release material on either side of the belt at pre-designated locations. 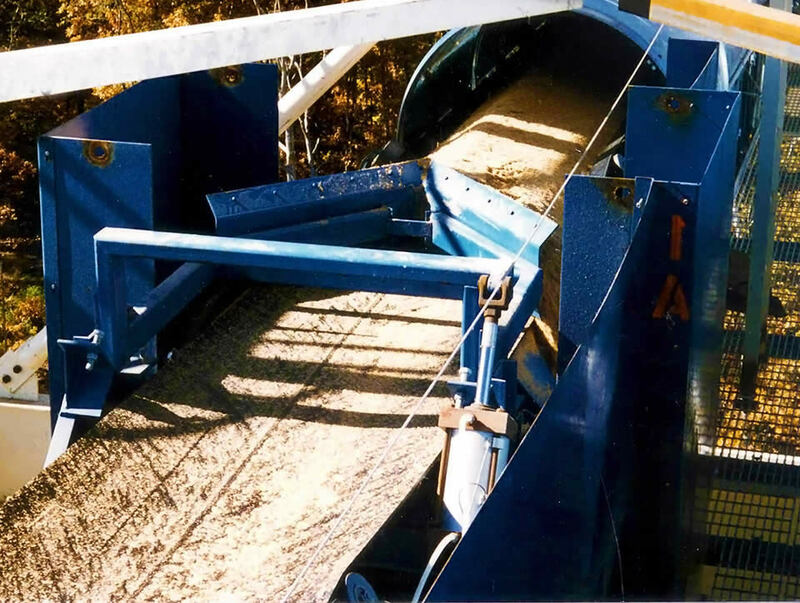 The FEECO design incorporates a raising bed plate that allows the use of a plow even on troughed belts. 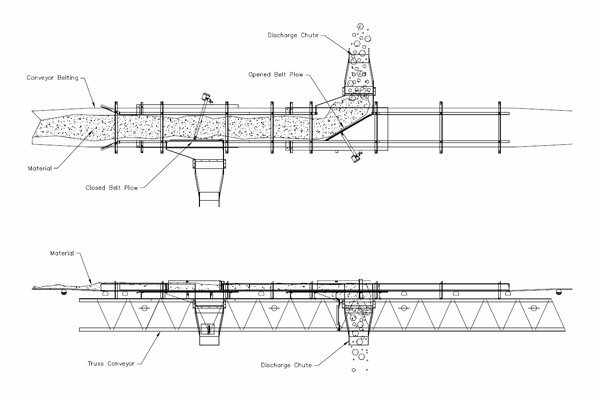 Pneumatic or electric actuators are commonly used for operation. 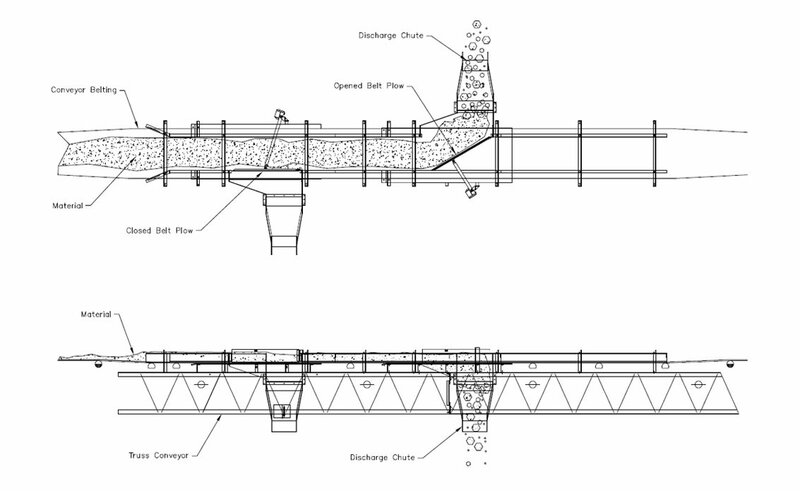 Manual lever action is also available for a belt plow. 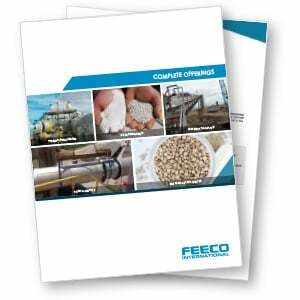 Question of the Week: What Conveyor Add-Ons does FEECO Offer? 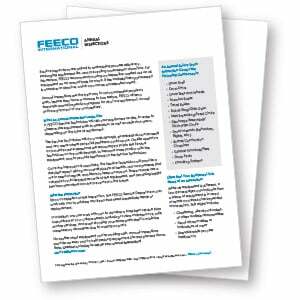 FEECO offers custom solutions for material handling needs. 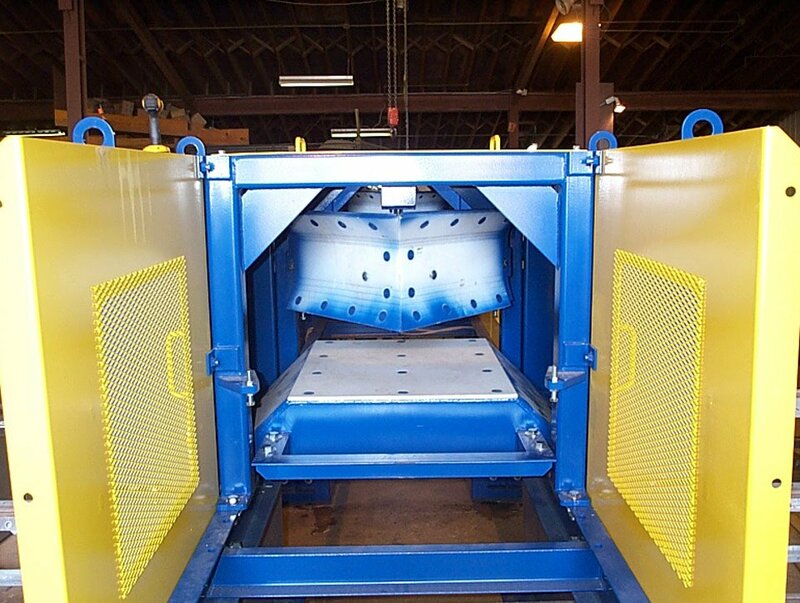 Our equipment is highly engineered and built to last. 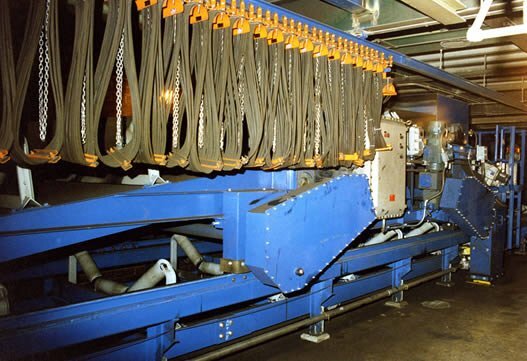 Our familiarity with a wide variety of materials allows us to accommodate even the toughest of material characteristics to provide an efficient material handling solution.